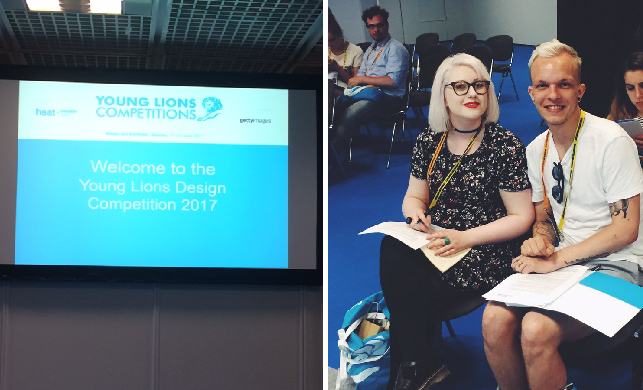 After winning the Irish leg of Cannes Young Lions in the Design category in March 2017 with our brand identity for not-for-profit representative organsisation The Wheel, we began preparations for the international competition in June, where we would go head-to-head with 22 Design teams, ranging from a variety of countries worldwide. The team at RichardsDee had strongly encouraged us to enter the Irish sub-section of the competition and had mentored and supported us through the process. They were now delighted for us to be representing our country, and our agency, as part of Team Ireland in Cannes. Over the coming months we went into intense ‘design training’, testing our time management skills and honing our process with a series of internally devised 24-hour briefs for brands in the not for profit sector, with mentoring and review sessions from external, internationally renowned industry figures. This process was immensely beneficial for us in the lead up to the competition and we would urge anyone thinking of entering to ensure that their studio/agency is on-board and on-hand to support. This prepared us (as much as was possible!) 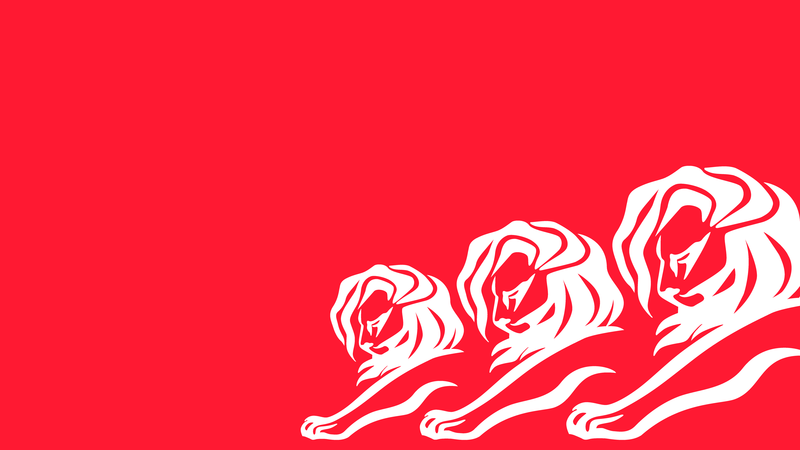 for the whirlwind that was to be Cannes Young Lions. Once we were settled in to our hotel, we instantly immersed ourselves in the festivities at The Palais. An impressive schedule of talks from industry superstars, celebrities, and homegrown talent (g’wan Rothco and AIB! ), stretched out in front of us and we began to plan our daily dose of inspiration. Bravery was at the core of the festival theme this year, as were topics of creativity for change, gender equality and our responsibility as advertisers and designers to represent a diverse viewpoint and challenge stereotypes. Along the seafront were various elaborate brand hubs from all the usual players in the tech world (Youtube, Facebook, Spotify etc…). The brand hubs were where we relaxed in the sun after the talks and got to know our fellow team mates from Team Ireland, and let’s not forget happy hour (4 hours). We can confirm that tech companies make a mean rosé slushie. 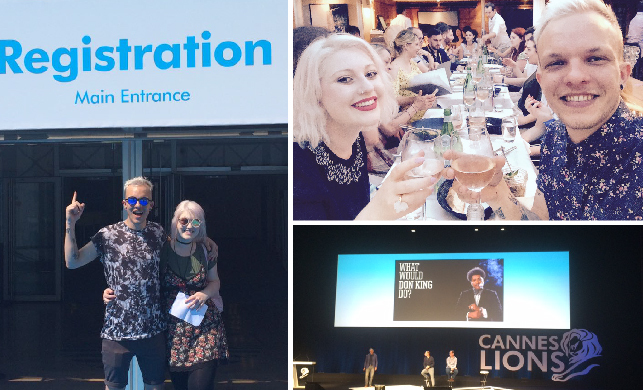 Another ‘social’ point of note includes the infamous Gutter Bar, where it seemed every single delegate from Cannes Lions would congregate at the end of the day (€17 G&T’s, avoid!). Before we knew it, the day of the briefing was upon us. Excitedly, we opened our blue folders to reveal the client, UN Women. Needless to say, we were delighted, we couldn’t have dreamed of a more fantastic organisation to work with. As a team with a long-held interest in women’s issues and as active participants in the Irish, and global feminist movement, we had a wealth of insights and learnings to draw from that would prove beneficial to us throughout the project process. Since its inception, UN Women has developed multiple campaigns and sub-brands attached to the mothership brand. Lacking a visual identity system to unify these and create a link between the sub-brands and the over arching UN Women brand, the association was being lost and their brand was becoming increasingly fragmented and confusing for their respective audiences. Our challenge was to solve this problem and create a flexible system for future UN Women sub-brands and campaigns that would create a strong, recognisable link to the mothership brand, and also be sufficiently fluid so as to retain interest and relevance across a range of different (and currently unknown) topics, initiatives, and subject matter. With only 24 hours to execute this challenging, complex task, we set out to work. Over a quick refuel, we discussed our initial thoughts and began to dissect the brief. 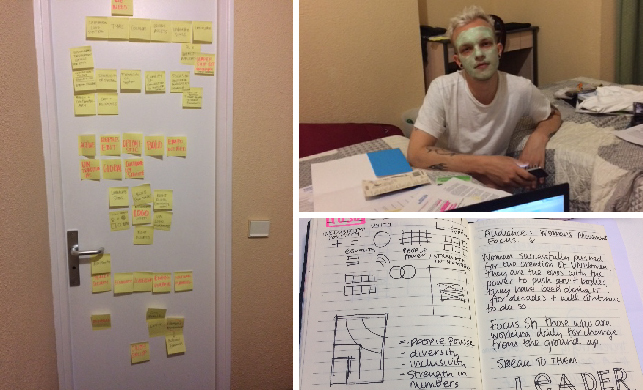 With food out of the way we headed for home to work in the (much adored) cool breeze of the air conditioning with a stack of post-its, markers, and a manic energy that only comes with a tighter than average deadline and a client and judging panel we desperately wanted to impress. Over the course of the evening and into the small hours of the morning we brainstormed, researched, formulated our core concepts and devised our plan for execution for the following day, where we would have access to a computer and our own booth space (complete with Irish flag) from 8:30am to 8:00pm. We utilised what we could, in a ‘cosy’ hotel room with (tastefully…) stippled walls, we found that the bathroom door was our only option for pinning up our thoughts and project structure. Here we broke down the brief and analysed the assets at our disposal in the existing UN Women brand identity. We outlined the core themes we needed to address, the appropriate tone of voice, the insights we had relating to the topic of women’s issues, and we chose a focused approach of tackling one key audience group out of the five provided (an insight that had arisen from our previous practice brief sessions at RichardsDee) of the future of the feminist movement, young future femisist leaders. From this point we sketched, rationalised, conferred, and ultimately devised the route in which we would go down the following day (with a few back up ideas in the pot, were we to run into difficulty with our core idea).